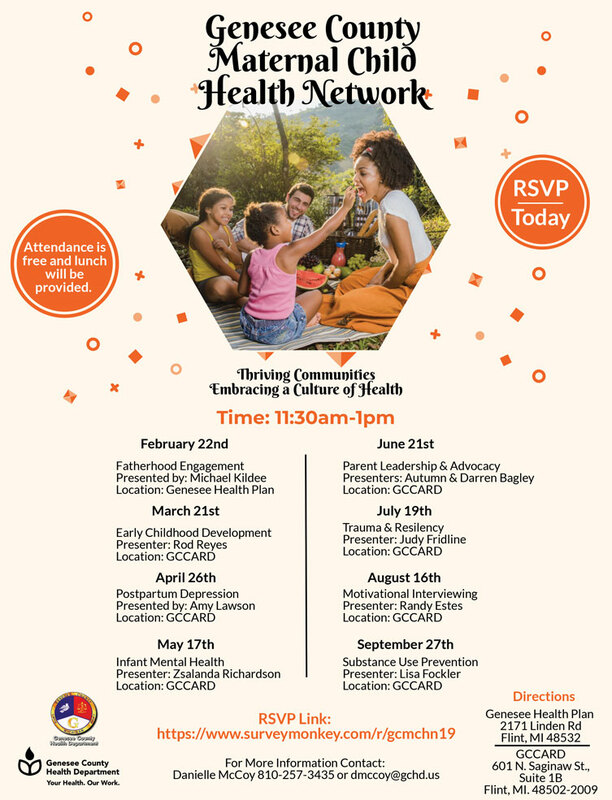 FLINT – APRIL 25, 2016 – Neighborhoods Without Borders continues its Tendaji Talks series in April with conversations on Flint’s African American history and a close examination on racism. McCree Theater Executive Director Charles Winfrey will take participants on a tour of Flint’s historic St. John Street April 5. In its heyday, the neighborhood was the economic and social center of northern Flint. Near Buick City, the neighborhood was leveled to make way for an industrial park that for the most part was never developed. Ruben Martinez, director of the Michigan State University’s Julian Samora Research Institute will explore institutional racism and how it manifests itself through coded language and actions against individuals and groups, April 21. The series includes two community conversations: Tackling Systemic Racism and the African American History of Flint. Tackling Systemic Racism conversations will take place the third Thursday of each month. The African American history series will take place the first Tuesdays. Both series are being hosted by the Flint Public Library and will begin at 6p.m. All lectures are free and open to the public. 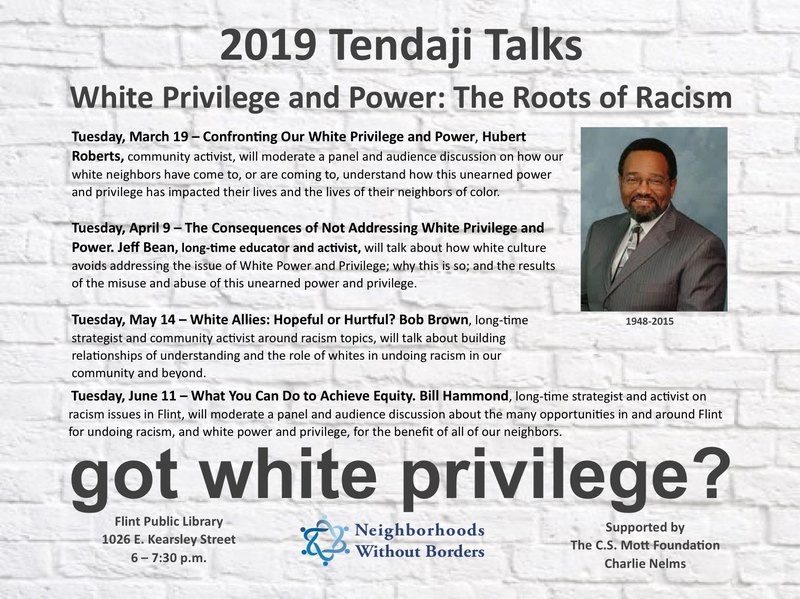 The Tendaji Talks are sponsored by Flint’s Neighborhoods Without Borders (NWB), to commemorate the life and contributions of Tendaji W. Ganges, who died in 2015 after retiring after 20 years as director of the Office of Educational Opportunity Initiatives. Ganges was among the co-founders of NWB. For more than 40 years including his time at UM-Flint, he dedicated over 40 years to pre-college and college level students by serving as a mentor and teacher. He served on numerous professional and community boards and committees including the Board of Directors of The Urban League of Greater Flint, membership on the Flint Big Brothers/Big Sisters Mentoring Task Force, the Flint Community Action Group, the Flint Community Leadership Summit and Planning Group, 100 Black Men of Flint, and the Flint and Genesee Chamber of Commerce. NWB is a community-based network of residents who use an asset-based approach to work on critical Flint issues and their root causes. NWB works to dismantle systemic and institutional racism. Funding to support this project has come from the Ruth Mott Foundation, C.S. 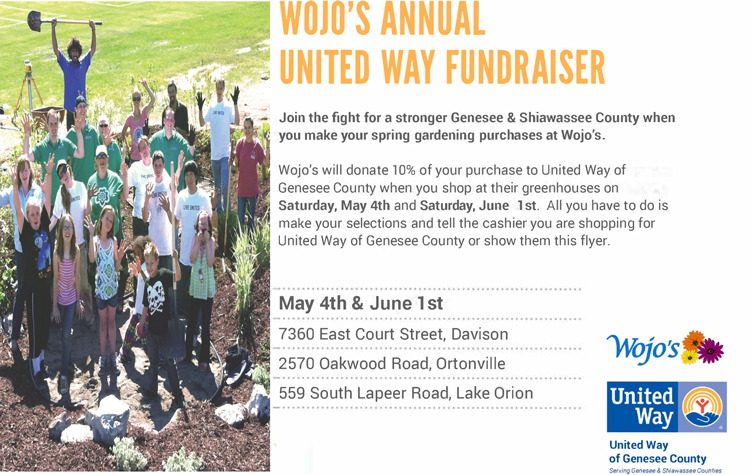 Mott Foundation, Genesee County Health Department, UM-Flint School of Education and Human Services, MSU Center for Community and Economic Development, and Charlie Nelms. Additional community partners include the Flint Public Library and Metro Community Development, Inc.